The message is perhaps a bit muddled, it’s difficult to accept Spielberg’s critique of a world obsessed with its pop culture past in a film that is very much obsessed with the pop culture past, and yet for the most part the filmmaker is able to have his cake and eat it too. “Reality is real.” Halliday reminds us, and while the escape of the Oasis (or in a broader sense, into the film itself) is attractive, Spielberg understands that there is a real world of actual possibility outside its frame. That he is able to walk that fine line is extraordinary, especially in a major studio blockbuster like this one. 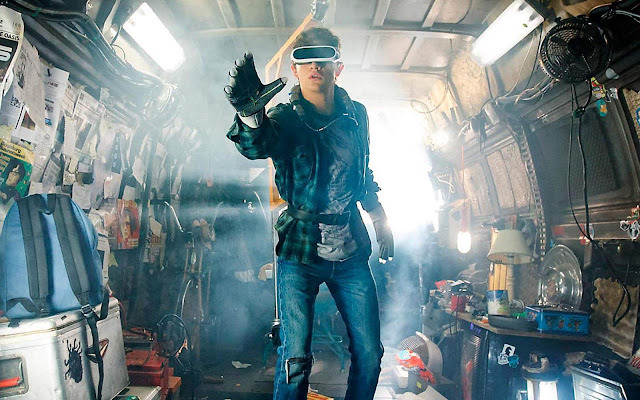 It is a potent reminder that Spielberg is perhaps the greatest cinematic storyteller of our time, and in Ready Player One he takes some of his favorite themes and wraps us up in a warm blanket of nostalgic familiarity, before sending us out of the theater and into the real world with a new appreciation for the tangible reality around us.